Should Tom Watson apologise to the Brittans? 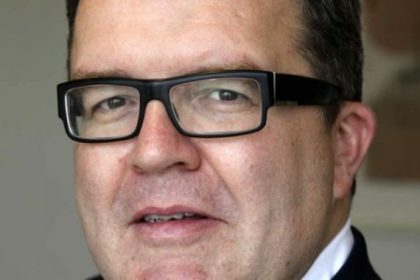 Tom Watson has been asked to apologise for representing forcefully, the allegations of abuse that have been relayed to him by victims of non-recent abuse committed by, allegedly, Leon Brittan and others. The feedback I have received from survivors of abuse and their campaigners is on the one hand angry that once again their voices are being silenced, but on the other hand resigned to the reality that the powers that be are once again attempting to squash any attempts to uncover the truth. Victims are generally used to oppression, being disbelieved and valued as worthless. Usually they think abuse is their fault, and when they have tried to complain in the past they have often been dismissed. Thankfully Tom Watson has resisted the temptation to fall on his sword, and has refused to apologise, which has only served to inflame those that are upset at attacks upon a man who may have faced a criminal prosecution had he survived for long enough to do so. Obviously he cannot respond to any such allegations as he is dead, so those closest to him are fighting back, understandably in grief and disbelief. The tragedy, of course, is that we will never know the truth, unless the alleged victims are allowed to testify, which is where the Goddard enquiry may come in. It is not hearing all of its evidence in public, so we must wait and see whether these allegations are ever tested and found to be true. “when anyone is accused of multiple sexual crimes, by numerous, completely unrelated sources, the police have a duty to investigate, no matter who it is. My letter was prompted by Jane’s concerns that procedures were not followed. It’s not for me to judge the validity of these claims but I believe I was right to demand that guidelines were agreed to. ‘I also believe that very many victims in this country have been too terrified to speak out for too long. And it’s not all over just because a few famous people have gone to prison. And it hasn’t got out of hand just because people in high places are scared. ‘The survivors of child abuse have been belittled and ridiculed for too long. That’s the real scandal here. Earlier the Prime Minister has said that I should examine my conscious. Well I think we all need to examine our consciences in this House. We’ve presided over a state of affairs where children have been abused and then ignored, dismissed and then disdained. The MP’s who are now lining up to criticise Tom Watson for putting forward the views of those who approached him are accusing him now of making this mission part of his ambitions to rise within the political environment. He is, of course, now deputy leader of the Labour Party. It is, however, ironical, that those who are attacking him, including the Prime Minister, are probably also using this “story” to gain political capital themselves. It is regrettable that very serious allegations against a former senior minister are now being used to play political football, when, as Tom Watson so properly put it, the needs of the victims of abuse are paramount. It is being suggested that the allegations against Leon Brittan are without foundation and that the police investigation is about to collapse, whereas the reality is that the reporting is based upon one or two allegations, which are said to be “unsubstantiated”, rather than “uncorroborated”. Only a small slice of the Operation Midland investigation was examined by Panorama, which has now cast doubt upon the entire investigation. The Police, like or not, are influenced by the media, and political pressure. One hopes that their enthusiasm and determination does not wane, in the same way that it did so back in 2003 when historical abuse investigations became a low priority. Tom Watson refers to “multiple allegations”. The police cannot respond to the suggestion that their investigations are without foundation because they are part way through a case, and tactically must keep such detail private. The result is that the media, rather than the Law Courts, have now adjudicated upon the truth or otherwise of allegations of abuse in a wholly unsatisfactory manner. The partial sentence, ” … the needs of the victims of abuse are paramount” caught my attention. In Law, is it not a child’s interests that are “paramount”? Does that paramountcy continue into an adult’s life where the events took place in child-hood or are adult victims of abuse entitled to a different ‘paramountcy’? I ask this as a matter of precision in Law, and not in anyway whatsoever to question the crisis of child abuse. Good question. You are correct that the word paramount is usually used in relation to children in matrimonial proceedings where their welfare is always paramount in deciding on any issue in relation to a marriage break up, there is no such law in relation to the victims of abuse, though hopefully any judge would consider their needs in a similar way. A good example of how the needs of abuse victims or “vulnerable adults” to be more accurate has been brought into line with children is in relation to the giving of evidence in court where now (not when I started doing abuse cases 20 years ago) any vulnerable adult who gives evidence in criminal proceedings is entitle to special measures such as being in a different building to the accused abuser, behind a screen, in a different room in the Court building etc. Yes, it does answer my question thank you. were not taken seriously, and suicides of some of those who have been falsely accused. in order to to increase their circulation or even just to smear particular individuals . become an accepted feature of British justice, which is increasingly what is happening in these cases.